Keep upping the ante, fellas. Is it too late to enroll for this semester? Might have an insurer underwriting it. They probably took out an insurance policy for this which is common when retail establishments run these type promotions. If so, they would be glad if it happened because it would be great publicity. Bummer! Being a vegetarian a huge missed steak. 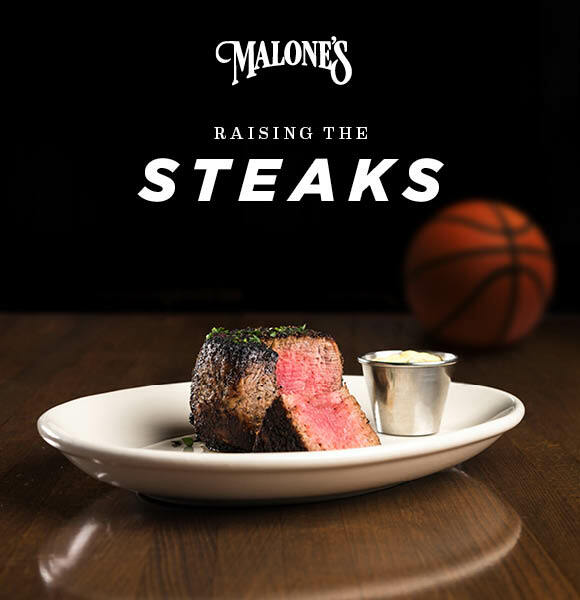 Whoever cooked that steak in Malones’s pic needs to be fired on the SPOT!!! That is all! Looks perfectly cooked to me. You can’t put a price on the free advertising he’ll get for this. The longer UK plays, the more valuable the gimmick becomes. Value is much more than the cost of an insurance policy. With UK being 8/1, it probably wasn’t cheap. im sure it does to someone who’ll spend 30 bucks on a leather tire. that’s medium well if i’ve ever seen it. If U of L wins it all, Papa John promises to give all of his customers diarrhea. what about the UK staff???? Not fair to leave them out!!!!!!!!!!!!!!!!!!!!!!!!!!!!!!!! For goodness sake, why can’t people just be happy for other people?! Why take the opportunity to bash an organization who is literally giving away expensive food to thousands for free? Including the staff would be insane, as it’s adding probably 15,000 more meals to an already incredible amount of free meals to begin with. There’s nothing unfair about not getting something for free that someone decided to give to someone else at their own expense. Hi…..I’ll be your instructor for Life 101. Lesson # LIFE IS NOT FAIR. The key to happiness is to accept this fact. Sometimes people will get things and opportunities that others do not. You will in no way be harmed by this…..hopefully as time passes you will become a mature adult and understand that it’s ok when others get things you dont…..play the hand you are dealt buttercup!